Messika "My Twin" two-strand necklace. 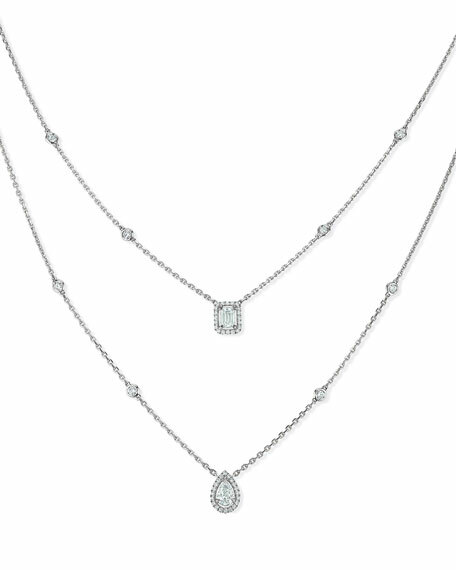 18-karat white gold chain with diamond eyeglass settings. Pear and emerald-shaped diamond pendants in halo settings. For in-store inquiries, use sku #2187706.